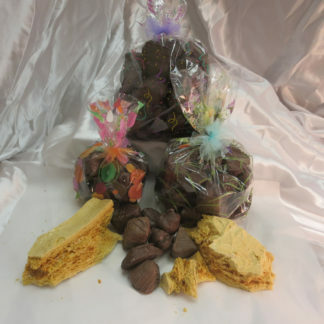 Are you a peanut butter and chocolate lover? 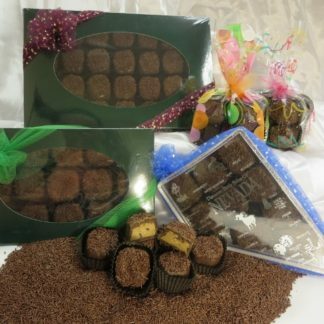 Our milk or dark chocolate cups will fulfill your desires and delight your taste buds. They are truly amazing – our mouths water just talking about them. We use an all natural peanut butter that we blend with our chocolate and then overfill our fresh made chocolate cups. The result is a perfect balance of chocolate and peanut butter. 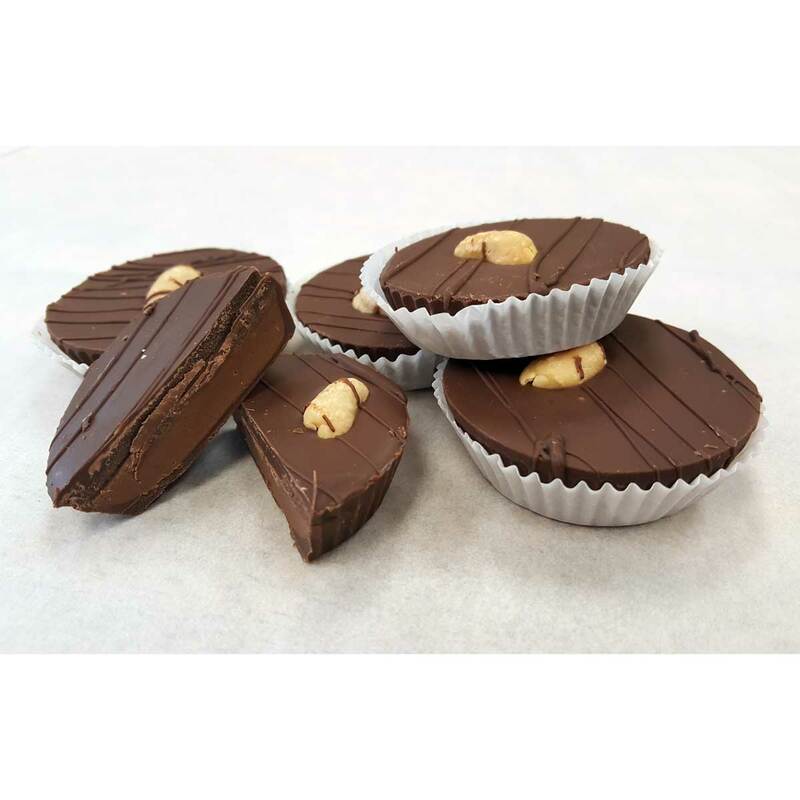 You may never be satisfied with other peanut butter cups again – sorry! There are no artificial flavors, no fillers – just peanut butter and chocolate. It’s your taste buds dream come true!